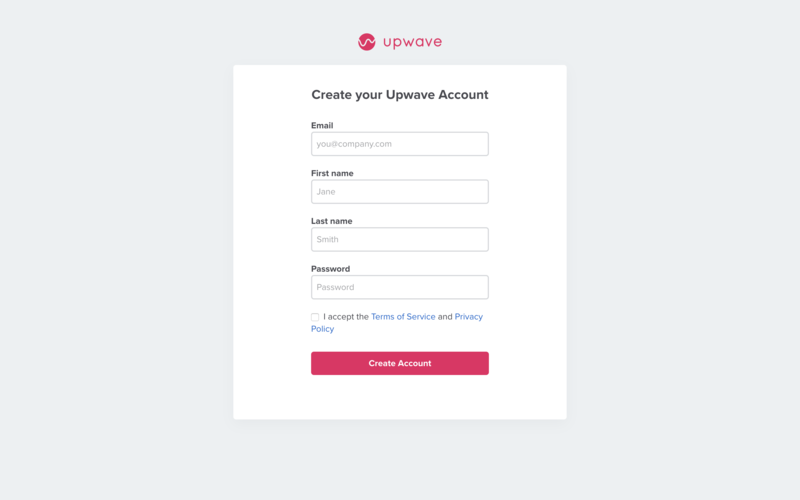 Signing up and creating your workspace only takes a couple of minutes - lets go through the steps. Just enter your email address and click "Get started for free". You will get a 14 day free trial - no credit card needed to sign up. The last step is to choose a title your workspace, and select your company industry and size. You can change the workspace name from the workspace settings at a later time. 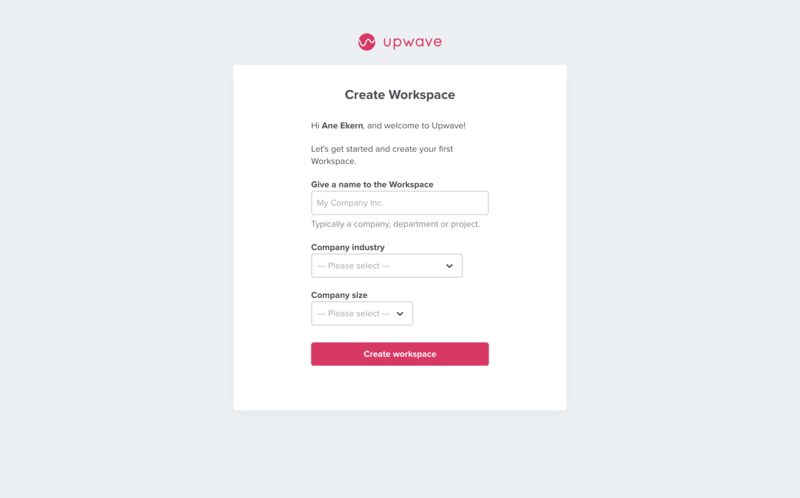 Click "Create workspace" and you are ready to start using Upwave!